OUR HISTORY — Jasper Muse, Inc. 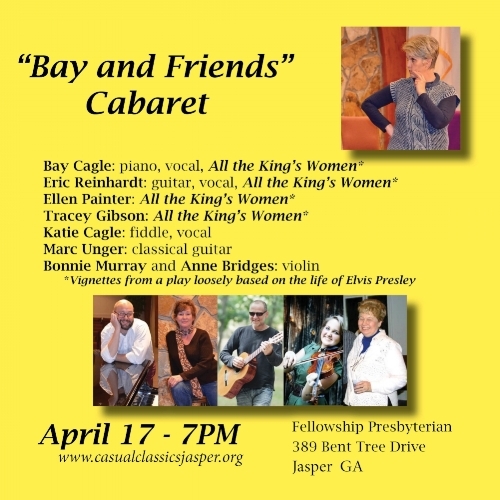 THE CASUAL CLASSICS CONCERT SERIES BEGAN IN 2007 IN JASPER GA. 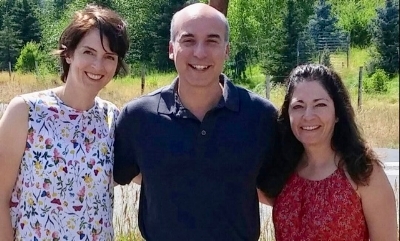 IN 2006 THE SESSION OF NEW LEBANON PRESBYTERIAN CHURCH (NOW CALLED FELLOWSHIP) AND PASTOR BEN LAUGHLIN AGREED TO A PROPOSAL BY SUZANNE SHULL TO START A CLASSICAL MUSIC CONCERT SERIES. THE CHURCH WOULD SPONSOR FREE CLASSICAL MUSIC CONCERTS AS A GIFT TO THE COMMUNITY. MEMBERS OF THE CHURCH HELPED JUMPSTART THE SERIES WITH DONATIONS TO PAY MUSICIAN'S FEES AND THE CONCERTS WERE LAUNCHED IN JANUARY OF 2007. IN 2008 JASPER MUSE, INC. WAS BEGUN AS A NON-PROFIT CORPORATION TO ACCEPT AND ACKNOWLEDGE CONTRIBUTIONS FOR THE CONTINUATION OF THE SERIES. 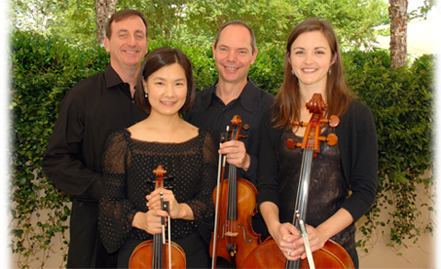 A Premiere performance by four recent Juilliard graduates, singer, pianist, actor, and fiddler. February 12, 2018 . Riverside Chamber Players. Music by Jean Françaix and Atlanta's Michael Kurth. An interview with the composer.